Manage all of your Windows security logs, event logs, and application logs in one location. Use the built-in configuration wizards to quickly get up and running and ensure security in your infrastructure..
Analyze Windows Task Manager logs and event logs for deeper insight into network processes. 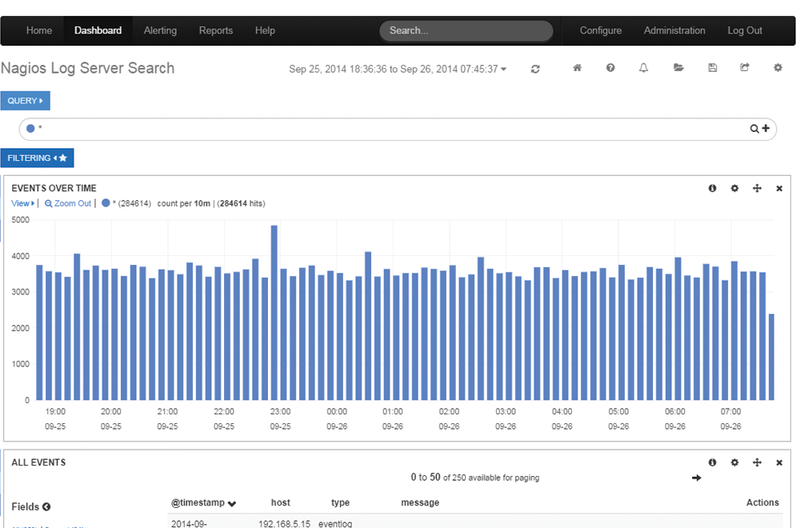 Use Log Server to alert when critical thresholds are met or abnormal activity occurs in your infrastructure. Log Server manages and monitors incoming Windows event logs. Set custom alerts based on event ID and error code, then sit back, relax, and let Log Server do the hard work of monitoring the logs. With Log Server, you get all of your data in one location, with high availability and failover built right in. Quickly monitor your servers with configuration wizards and start monitoring your logs in minutes. Log Server is infinitely scalable, so as your organization grows you can easily add additional Log Server Instances to your monitoring cluster. 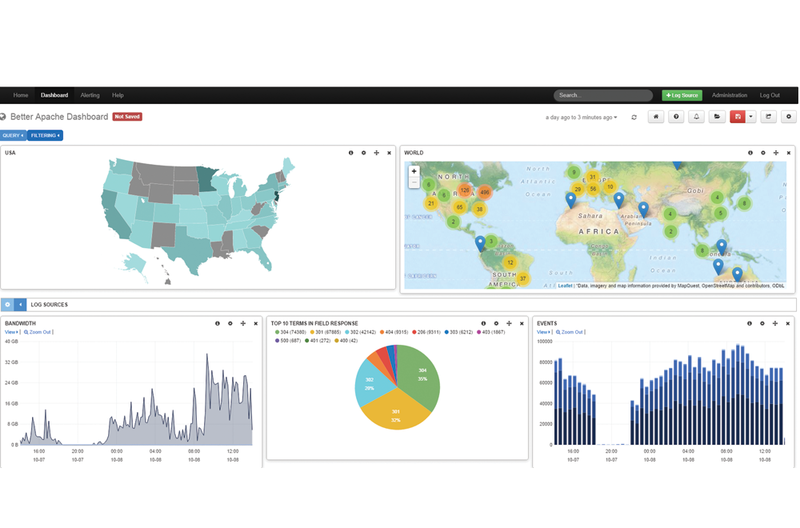 Log Server allows you to view log data in real time, providing the ability to quickly analyze and solve problems as they occur. This keeps your organization safe, secure, and running smoothly. Nagios Log Server has a fully accessible API allowing for complete customization to fit the needs of your network. Integrate it with third-party solutions for seamless integration with your current infrastructure. Log Server is a premier solution that's perfectly designed for security and network auditing. Easily create alerts from the web interface based on queries and thresholds most important to you. Multi-User capabilities allow IT teams to work together efficiently. Admins can add, modify, and remove users, as well as set access permissions so users can only modify changes to their own profile. Nagios Log Server provides users the ability to quickly and easily search and analyze all types of log data from one location. Users can then easily drill down to specific problems enabling faster problem resolution across an entire infrastructure. Q: How much log data can be sent to Nagios Log Server? A: We don't cap the amount of log data that is sent to Nagios Log Server. Instead, the limit for the amount of log data that can be handled is based on the physical hardware of the Nagios Log Server instances. Q: What is an instance? Why would I want one? A: Nagios Log Server systems are based on a clustering model. Each server in the cluster is called an instance. 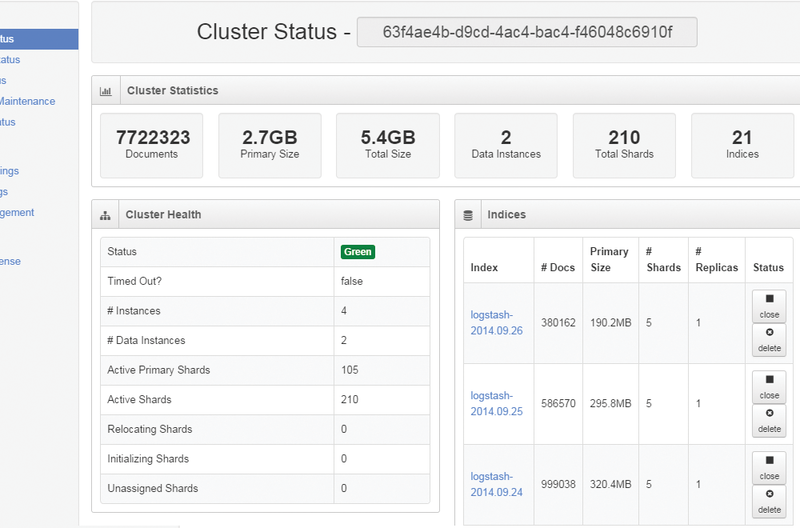 Adding instances to your cluster allows for data redundancy and a balanced workload. Q: Is there a Free Edition of Nagios Log Server? A: Yes! Nagios started in the Open Source community and we hold strong to our roots. Nagios Log Server is free to use for up to 500MB of log data per day. This makes it easy to monitor small environments or to try it in your environment before you make a purchase decision. Q: What types of logs can be sent to Nagios Log Server? A: Right out-of-the-box, Nagios is configured to be able to receive Windows Event Logs, Linux Syslogs, and Network Device Syslogs - as well as log information from any Windows and Linux machine. 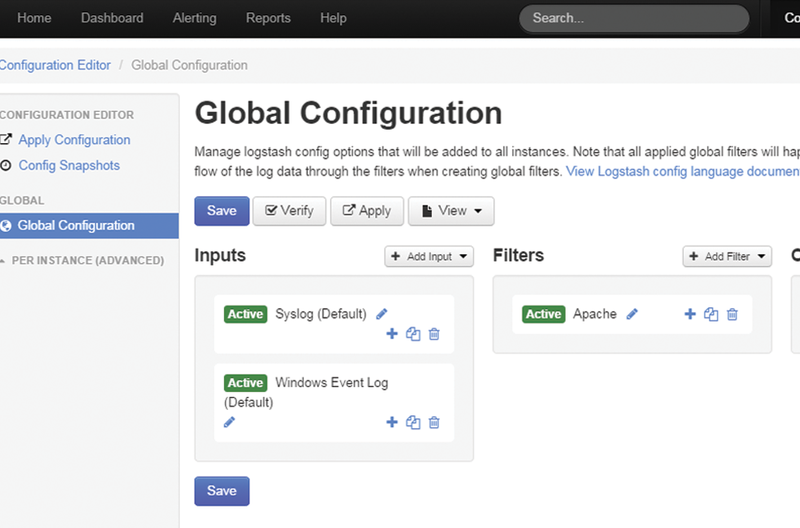 Additional log types can be added through the convenient GUI configuration wizard. Nagios Log Server, unlike many of our competitors, allows you to have full access to all of your log data no matter your license level. We don't believe in charging you for your own data. We don't think it's fair. Your only limitation is the hardware/VM that you put Log Server on, but with Log Server's ability to quickly scale to your environment, your monitoring needs are always met. Get started with Nagios Log Server today at the exclusive introductory price of only $3995. Nagios Log Server is licensed based on the number of cluster instances you implement in your environment. A Nagios Log Server system is comprised of any number of cluster server instances. Each instance communicates with each other to both replicate/backup your data and load-balance your system to maintain an efficient log monitoring system. Nagios Log Server customers receive access to top-notch technical support via our exclusive customer-only support forum and included email support incidents. In addition, you may add a phone support package to ensure access to priority support services when you need them most. Nagios Log Server is officially distributed in multiple formats including VMware virtual machine images for VMware Player, Workstation, ESX, or vSphere. Source installers are also available for installation to physical Linux servers running RHEL and CentOS. Nagios Log Server allows you to manage your windows task manager logs and security log data for in-depth log analysis and alerting. Website Copyright © 2009-2016 Nagios Enterprises, LLC. All Rights Reserved.